Samsung Gear S2 smartwatch is now official. It is dubbed as the most brilliantly designed wrist computer to date. Why? Read it here. Samsung Gear S2 smartwatch is the refresh to the popular Tizen-powered wearable device from the Korean company. Unlike its predecessor, the new wrist computer has a round form factor and rotating bezel. 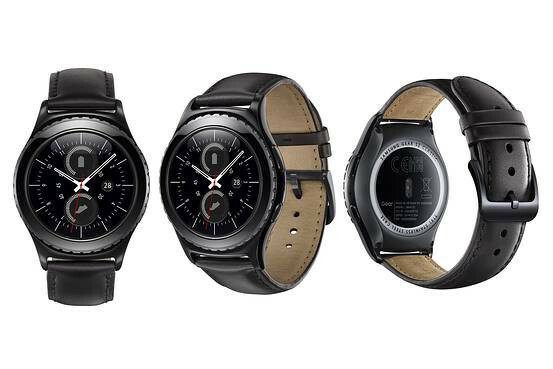 This high-end wearable comes in two variants, the Gear S2 and the Gear S2 Classic. Both have an Ingress Protection rating of IP68. Samsung Gear S2 is the sportier version of the watch. Specs-wise, both variants are similar. Both harnesses their computing speed from the 1GHz of dual-core processor coupled with 512MB of RAM. Across the board, each packs 4GB of internal memory. In terms of display, this offering boasts a circular Super AMOLED display with 1.2-inch diameter. The display frames 360 x 360 pixels with a stunning 302 ppi. What I like about the design is the inclusion of the rotating bezel which lets you scroll through apps, lists, or any other item in the screen. It's like Apple Watch's Digital Crown, only better and easy to use. The wrist computer will also have a 3G version that features an e-SIM as alternative to a regular SIM card. Other features include NFC connectivity intended for Samsung Pay and 250 mAh battery.